There are many 4c naturals who can relate to her. She has a huge number of videos on her youtube channel and is hugely informative and detailed in everything from her routine to treating her alopecia. Washing Routine 1-2 times per month.. Hair washed in sections. Uses hair dryer to deep condition and a protein treatment once a month. I am featuring her tension method blow dry here although there is also a really cute video of her husband styling her hair on her youtube channel so do check her out! what do you mean by alopecia and long hair? I thought alopecia is a genetic condition that restricts hair growth. and so you are bald your entire life? I've met people with alopecia. I do tension blow out too in the rare occasion when i do it. 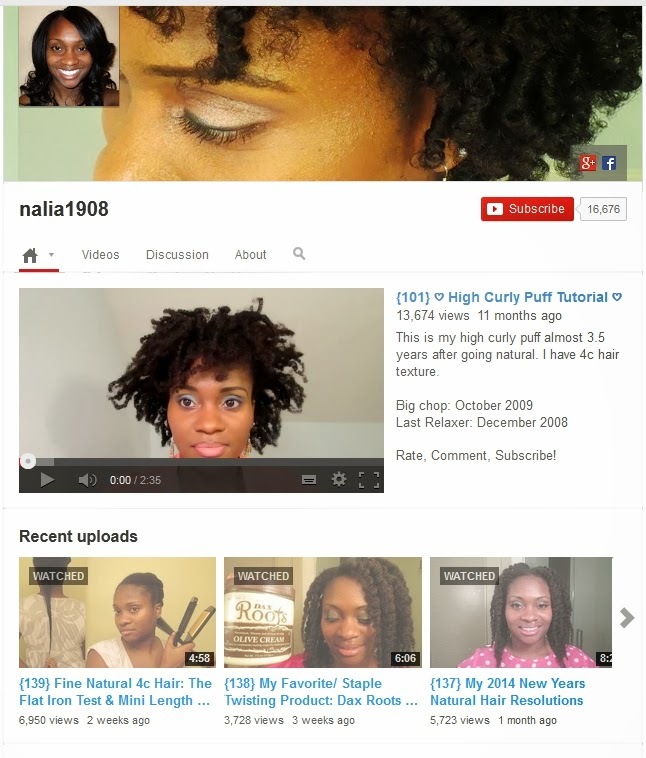 There are different forms of alopecia, she has videos detailing her treatment and its effect on her hair growth. Do check out her videos! I hope you get to your goal length, it would be lovely to have a full circle moment!